For mounting the Optiplex Micro chassis under a table or desk or on a wall. Includes Power Adapter mount. Includes a power adapter box enclosure for 65W, 90W or 130W power adapters. 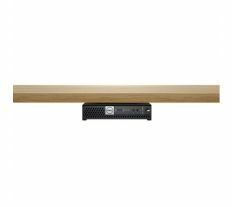 - Uses a VESA bracket to securely mount the OptiPlex Micro to a wall or under a desk.